From the last couple of days, I have been planning to expand ShoutMeLoud with few new things, and I was considering to move to a Webhosting company, which can give me more control + complete peace of mind. Earlier ShoutMeLoud was hosted on a private VPS, which was was well-optimized, but I missed the lack of control. For example, I wanted to integrate a forum and few other sub-domains, to expand SML, but technical limitations always stopped me. After doing lots of research, reading tons of reviews, and hearing great stuff about many web hosting companies, I decided to opt for managed WordPress hosting. If you are wondering how managed WordPress hosting is different from shared hosting companies like Bluehost or Hostgator, here is a started guide on what is managed WordPress hosting. It was a tough call for me as these types of hosting are costlier, and after looking at all the possible options, I decided to opt for WPEngine. They are recommended as one of the best-managed hostings by many known brand, and they earned the trust. Here I’m sharing my experience of moving ShoutMeLoud from private VPS to WPEngine, and it will give you some important details about WPEngine hosting too. Why Did I select WPEngine? My overall experience with moving WordPress site to WPEngine? Of all the reviews I referred to, I learned that they were really good at what they do. They ensure that your WordPress website remains up, your pages will load blazingly fast, and they will take care of each and everything like website backup, site security, CDN and so on. To be honest, their deal is mind-blowing when it comes to features they are offering, and people who wanted peace of mind, WPEngine sounded like the perfect choice. One of the biggest reason I was holding myself to move from current hosting to a Managed WordPress hosting is because of price slab. Earlier, I was paying $49/month for my private VPS, where as on WPEngine is costing me $249/month, because of my traffic. This is like $200/month expense increase and total $2400/year increase in yearly expense. Again, I always believe in “Quality comes with a price“, and for complete peace of mind, the $200/month extra is not much. Daily backups: You don’t need to worry about using any premium solution or manually backing up your blog. No caching plugin: This is the best part about WpEngine, as you don’t need to worry about caching. Caching is done at the server level, and you don’t need plugins like Super cache or W3Tc. International data-centers: I already explained that your hosting location matters for geotargeting your website. WPEngine offers U.S; U.S and Japan-based datacenters. Asian users can take advantage of Japan Datacenters. Complete security: Tired of your Website getting hacked? WPEngine implements multi-level security like Firewall, malware scanning, and one click restore will ensure you never sit idle, even if something goes wrong. Free CDN: Content delivery network ensures that your blog loads faster than ever, and WPEngine offers free CDN. Dedicated I.P. : With the business plan, you get free dedicated I.P., and we have already discussed why dedicated I.P. is important. These are few of the many features offers by WPEngine, and if you want to know all other features offered by them, check it out on their pricing page. My convincing point for moving to WPEngine was using unlimited plugins. I’m a plugin lover, and I love to try, test, use a new plugin, and write about it. Moreover, from long I wanted to shift my ad management to WP Advance ads plugin, and WPEngine powerful hosting environment, looked like the perfect solution to me. To ensure that, customer get outstanding experience, they don’t allow certain plugins, including any cache plugin. Even if something goes wrong, or your experience with WPEngine is not up to the mark, you can ask for complete money refund within 60 days of sign-up. That gives me enough reason to trust them, and host ShoutMeLoud with them. At the time of writing, it’s been more than a week, and I had no issues so far. I will keep this part short, and useful for people who are looking to move their WordPress site to WPEngine. I will share a detailed review after using WPEngine for one more week. Before signing up with them, I installed a plugin to check if there is any incompatible plugin out there. This plugin showed me disallowed plugins, and I disabled all of them. And, I ended up signing up for the monthly professional account, and signing up process was very straight forward. Infect, within 5 minutes of signing up, I had my WPEngine Login with me. 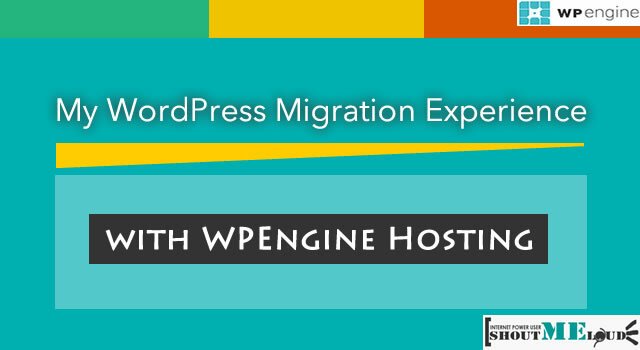 May 2016 Update: You can use WPEngine Automated migration plugin to migrate your site from current hosting to WPEngine. Will add a tutorial about it soon. And I started preparing for the migration by following my earlier tutorial. I cleaned up the database and reduce the size. Got rid all unnecessary plugins and files. Started taking backup of my Wp-content folder. My WP-content folder is almost 2 GB on Size, and it was taking ages with my internet speed to take backup, so I asked their support team to help me with moving WP-content folder from my old server to new WPEngine server. Within 38 minutes, I got a response from one of the support member ( Ben Moore), which was not very pleasant, but I was happy to know they were helping me with the migration. And, I gave them a Go and waited for a response. In between, I realized that I used to play with Shell commands years back, and I can use ssh and sFTP to do the transfer myself. If not, WPEngine support is as it is helping me. Earlier, I didn’t realize, that I don’t have ssh access on WPEngine, and I will not be able to decompress the .tar file. So, I opened a ticket and asked their support team to decompress the folder, and move the content to my WP-Content folder. Once, they moved the file, all I needed to do was to move the database, and update the database info into the WP-config file. You can refer to my earlier guide on How to move WordPress host with zero downtime for better understanding. WPEngine offers staging feature, which will let you see how your website will look before making it live. (I will cover this part in detail, as staging feature will also be use to making changes on your site before making it live). Once, everything looked fine, I updated the ‘A’ record of the domain, and within minutes I was hosted on WPEngine. You can use a ping service like this to monitor if A record has been reflected globally or not. One of the major complaints with WPEngine is their slow support, and lack of24-hourr support. I had a Skype conversation with one of their community Manager “Austin Gunter”, who told me that they are now working on 24*7 support, and also live chat support is underway. Update: Live chat is live now. More over, there is something good about WPEngine support, and that is: Your issues will be taken care by people who love and understand WordPress, so a faster resolution is expected. At the time of writing, their support timings are from 9am-6pm CST, so it may not be so perfect for people who are living on the other side of the world. You might like to use a time-conversion service like this, while contacting support. WPEngine is growing as a WordPress hosting brand, and certainly, they look promising. Though, by the end, a customer-centric company is the only one which survive in long-haul. They should work on expanding their support time. Also, being a complete WordPress centric hosting, a free migration will be a great bonus. Over all, after running ShoutMeLoud on WPEngine for more than a week, I believe it’s a complete value for money. I still have to configure settings like CDN, and start adding new sub-domains, which is on local production site. I have not seen any down-time or slowness issue so far, and the dashboard is blazing fast. More over, I keep adding more plugins without worrying about site slow-ness (Key is to use well-coded WordPress plugin), and most important I can focus on content development and promotion, without worrying about various hosting related issues. Overall, if money is not an issue and you looking for a managed hosting solution for your WordPress blog, WPEngine is a good choice. 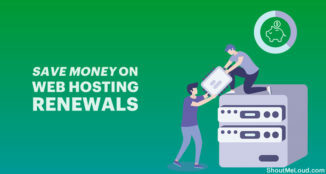 It may not be for everyone (Due to high-pricing), but it’s for people who are facing hosting issues with growing traffic and looking for a hassle-free solution. I will be sharing more details/tutorials in coming days, for now you can check out WPEngine, and subscribe to the Email newsletter for more updates. I would love to hear your experience with WPEngine so far? Also, if you have additional questions related to their hosting, feel free to ask me via comments. Something new learn here. I always stayed away from Managed WordPress hosting. If I cross over the limit of $500 per month then I can think of any Managed WP hosting. Until then need progress. It’s great . My migration experience with bluehost is very horrible . Bluehost’s data transfer speed and FTP upload speed are very low. First I tried to transfer data via BackWPup,failed . Again I tried a transload script ,It also failed again . Thanks for your review about wpEngine. I have question about plugins. Are they really offer premium plugins at. ZERO Cost? Congrats for new hosting on WPEngine ! Keep sharing your experience with us regarding this hosting. Hi Harsh, another great piece of review. It will help me in future, not now. I think the mentioned blacklisted plugins mentioned by WPengine are not supported by them as they already have the similar hardware/software which perform similar functions. But for non-WPengine wordpress sites and blogs, I dont think they are bad. It is rather their business strategy to blacklist these mentioned plugins rather than an exact server compatibility issues. What do you think? Surely a great step ahead. At times i wonder how do you juggle your blogging and the administration of the servers. Hats off to you mate, You are a kindy the superman on the web ! Price is definitely on higher side, and that’s what made me wait for long to decide, if it’s worth investing $250/month on a hosting, when I can pay $100 on a VPS and host my website. I was on a unmanaged VPS before, and I seriously missed the lack of control like dashboard to add sub-domain and try new things. I had a very different experience with WPEngine, i was told that i should do the transfer of my own by the support team , when i told them i cant do it they suggested me some sites which will do the transfer for me which cost around $200+ which was going beyond the budget limit. Even i find the support team to be slow be it pre sale or tech support it was taking ages to reply for them.. I also feel that they should be offering a free site migration, instead of recommending 3rd party services to migrate their blog. They should add it as a free service for their potential client. I had similar experience with pre-sales queries, as it took me almost 24 hours to get a response from them. But, what I liked is response was thorough and personalised. Sorry that you had a poor experience with our support team. If I can be of any help in the future, please email me directly, [email protected]. Always happy to answer questions. Thank you for sharing your experience with us, for me hostgator is best till now, my blog never went down, even someone tried to ddos my blog but it never went down.. Anyways maybe wpengine is also Ddos proof.. 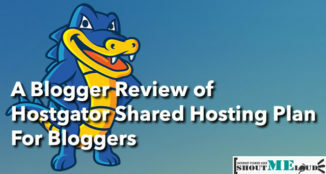 Comparing Hostgator or other shared hosting with WpEngine is like comparing two different aspect of Hosting. Hostgator is a good and reliable hosting for all the platform, but WpEngine hosting is only dedicated to WordPress. 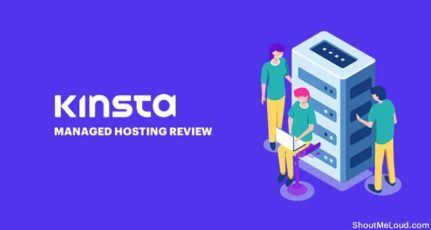 Hostgator, bluehost and other shared hosting companies are good for a new blog which doesn’t need a lot of resources initially. But, when your site grows, and you need more resources; your options are VPS, dedicated or a managed WordPress hosting. I have tried managed hosting with Knownhost, an unmanaged VPS server with SSHVm and LInode, and realize the major issue with server configuration. WPEngine solves this problem, as they are well optimised for hosting WordPress blogs. Do remember, WPEngine is not for everyone, and is useful only when your hosting companies failed to host your WordPress blog, and VPS server doesn’t helps you either. I had an awful experience with wpengine .. I shifted almost all my sites .. And then suddenly after 1st week my traffic dropped constantly and gradually. And i had to withdraw away from them. Also the support team is sluggish .. They respond late and have very limited mindset. Its about 2 months back .. I hope it works well for you. Have you tried figuring out the reason for traffic drop? Usually hosting is related to traffic drop, when DNS is not configured properly, or hosting company is blocking access or taking ages to load your pages. So far, I have not seen any such issue with them. Regarding support: I completely agree they need an upgrade, and faster response time. They have already launched live chat support for many clients, and will be rolling out it for everyone in coming days. Also, WpEngine is making their support available 24*7. I have done all these research before moving to them, so that I don’t face any issue and also get value for my money and time. I’m sorry that you had a less than amazing experience. That’s unusual, and it makes me wonder what else may have been going on at the same time? To start, it doesn’t make sense that your traffic would drop as a result of a migration, particularly when most people see site speed increase 2x-4x after migrating to WP Engine. Sine that boosts your SEO, you should actually see your traffic *increase* after moving over. If you wouldn’t mind, I’d love for you to email me support ticket numbers that document the problems you were having so I can investigate this. I’m at [email protected]. I think it is really premature to write an all inclusive review of a hosting service provider after just one week of hosting. Ever wonder why the company gave a 60-day money back guarantee? All the same, am happy for you. 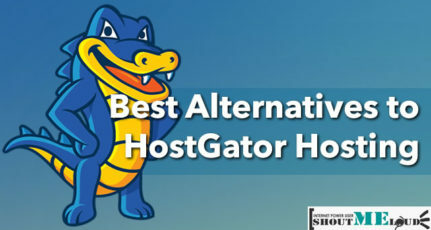 But Hostgator does more than they do at a lesser price too. I understand one week is too less to judge a hosting, and that’s why I mentioned I will share detailed review after couple of weeks. Though, this post is mostly about my experience and how I moved my blog from old hosting to WpEngine. 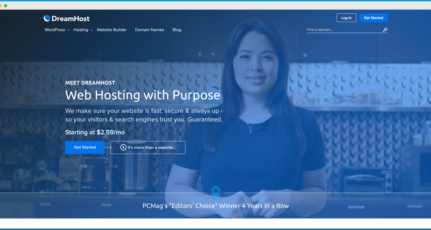 Hosting companies like Hostgator and Bluehost are good for a new WordPress blog, and I openly recommend them all the time to new bloggers, but when your blog is growing and you need more extensive resources, a good hosting is required. In past 4 years, I have hosted ShoutMeLoud on various hosting companies including Hostgator, Dreamhost, Linode, Knownhost, SSHVM and finally right now I’m on WPeNgine. I’m not saying it’s the last hosting company I will be trying, but for the kind of hosting requirement I have, WpEngine perfectly fits in right now. I use tons of plugins, custom script and I needed a complete hassle free hosting, which will let me focus on more productive work than fixing daily issues. So far, WPEngine is not giving me even a single issue, and I’m loving it. Part of the reason we give folks a 60-day money back guarantee is because so few people cancel. Making it easy for customers to leave WP Engine at any time means we have to work hard to earn your business every single day. We’ve been in business for years, and have lots of happy customers, so hopefully we keep doing things right. 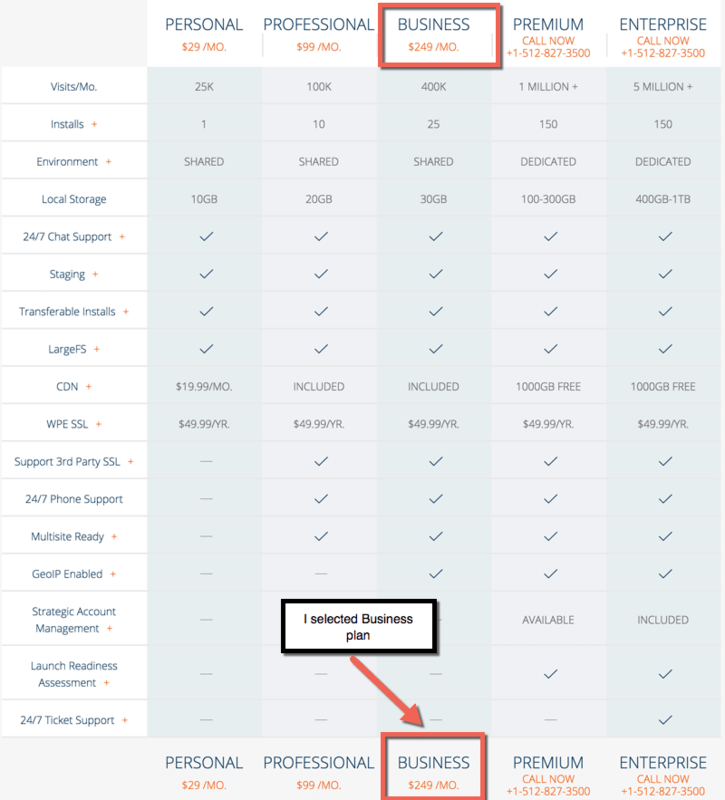 You do point out that WP Engine is more expensive than other shared hosting providers. That’s because we offer full management of WordPress sites. For example, we guarantee security so you don’t have to stress about being hacked. We manage your caching and CDN for you, so you don’t have to configure caching plugins. We’ll automatically update WordPress every time a new version comes out. There’s a one-click staging area, automatic backups, and a suite of other great tools that save you a lot of time developing your site. The time you save is money back in your pocket! That said, WP Engine isn’t always for everyone. Some folks prefer the cheaper option, and that’s awesome! There are a lot of great hosts to choose from! If I can ever help you out, please feel free to send me an email, [email protected]. WPEngine seems great service especially it removes the load of bundles plugins. Thanks to promote. Along with plugins, it’s indeed a great hosting for WordPress sites. Their serve is optimized for running WordPress blog, and that’s what makes it really great. As of above picture suggest.. $99 for 1,00,000 visitors per month.. but what if a site is getting 1,00,000 visitors per day??.. It looks like WP Engine plans described here will not be enough for such site.. The next line of plans is the custom one. Once you get over the business plan, we’ll customize everything for you, down to bandwidth, storage, CDN, and even offer a dedicated support manager. Of course, if you’re getting a million hits a day, you’re doing quite well, and we definitely can help! Thank you very much for the great WP Engine review. I’m glad you’ve had such success with our platform so far. We’re incredibly glad to have you hosting Shout Me Loud with us. Keep met posted if there is anything else we can help you with, as well as how your site continues to progress! Thanks for all the help and support on Skype…. So far, I’m having a great time on WPEngine, and could focus on what I’m good at. Great Now shoutmeloud hosted on wordpress top hosting plateform. 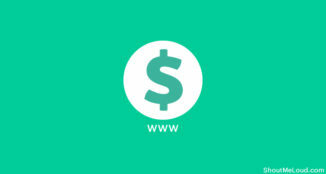 Wpengine is great for wordpress but wpengine is very costly. This has totally confused me. I set out to start a simple blog and this just made me want to crawl under a rock.